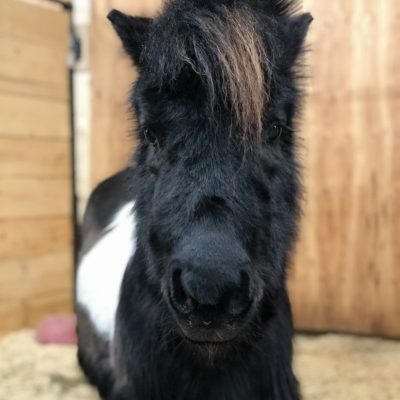 Chevy is a 6 year old black and white miniature pony. Chevy is the perfect pony for our Little Pony Motricity program. She is a step up from our smaller mini’s because she is taller, more narrow and simulates a larger horses movement. She is a great confidence builder because of her quiet and forgiving nature. Chevy doesn’t feed off of nervous energy making her a happy quiet pony for any rider.